Lohardaga is geographically metamorphosed in a extremely beautiful plateau intersected by large bauxite hillocks, beautiful patches of sal forest, small rivers and predominantly dominated by tribe. In this natural backdrop, Lohardaga is also facing grave challenges of internal security posed by maoist and other splinter extremist outfit. The people here are economically weak and poor simply because of the inaccessibility of area, improper education and naxalite terror. The government plan & development activities are actually not percolating to the rural hilly areas hence the people are groping in wilderness. Objective of lohardaga police administration is to create such a harmonious atmosphere of peace and tranquility by proactive policing so that a sense of security should infiltrate in the society to all and sundry. Many steps in recent weeks have been taken to thwart the ugly design of extremist as well as criminals. We have launched a relentless drive against the anti-social elements and will continue with popular support of the local people. The district will again start prospering with its natural resources which is in abundance. The district police has projected a clean vision of crime free society in a sensitive manner with the cooperation of social workers, intellectuals through civic action, village defense committee etc. The district police very sincerely vows to stand by the down-trodden, orphans, old and weak people of every class of society in their trying times. Lohardaga district came into existence after Ranchi was split into three districts namely Ranchi, Lohardagga and Gumla way back in 1983. The district is named after the town of Lohardaga, the administrative headquarters of the district. Lohardaga was given the position of a sub division in 1972 and a district in 1983. In Jain texts there is reference to Lord Mahavir's visit to Lore-a-Yadaga, which means 'river of tears' in Mundari. 'Ain-e-akbari', The famous book on Akbar, also mentions a place called 'Kismate Lohardaga'. The word Lohardaga may be made of two hindi words, Lohar meaning 'ironmonger', and Daga meaning center', which makes the literal meaning of Lohardaga as 'center of iron mining'. The district is situated in the south western part of Jharkhand State between 23°30' and 23°40' north latitudes and 84°40' and 84°50' east longitudes. The district covers an area of 1491 km² in the tribal belt of Chotanagpur plateau. It has seven blocks namely Lohardaga, Kuru, Bhandra, Kisko, Senha, kairo, and Pesrar. There are 353 villages spread over in 67 Gram Panchayats. The geography of this district plays a major role in the crime and security scenario in the district. 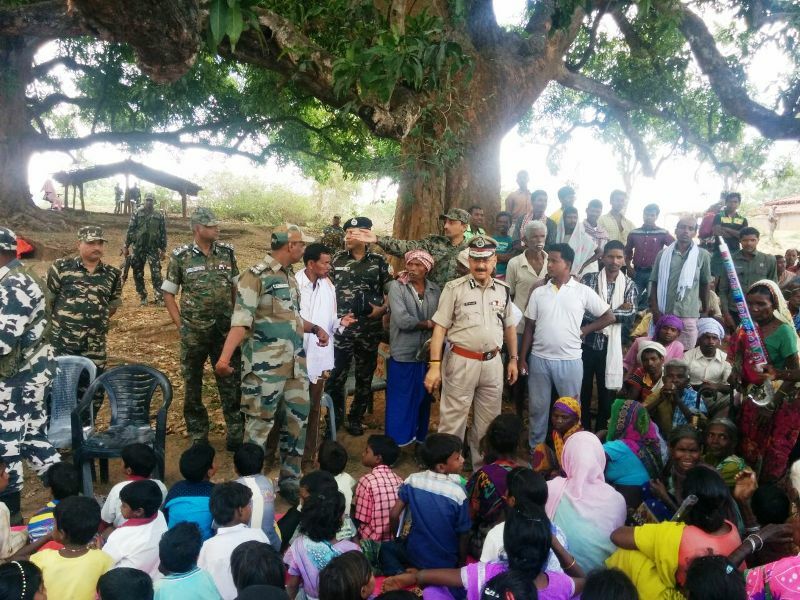 The district is having dense forests which offer hideouts to the naxals and Bauxite mining is the major economic activity. Herein lies the main interest of naxals for collecting levy from bauxite mining and transportation industry. Lohardaga is a 'A' grade naxal infested district. Six police stations and Eight Pickets are totally affected with extremism activities and rest of the P.s viz. Lohardaga Police station is partially affected. 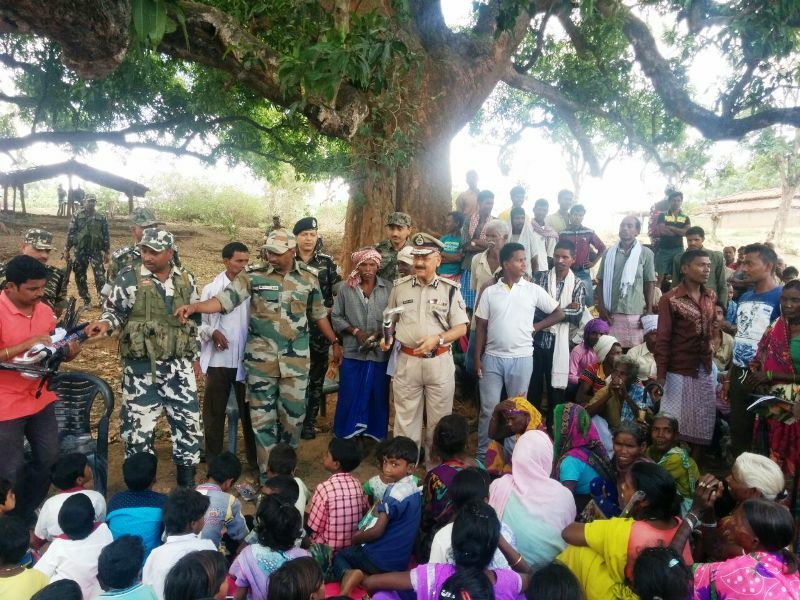 To combat the naxal menace, the Police in Lohardaga is employing all the lawful and needful tactics. At present, all the Nine Police Stations and other establishments have been fortified and strengthened. 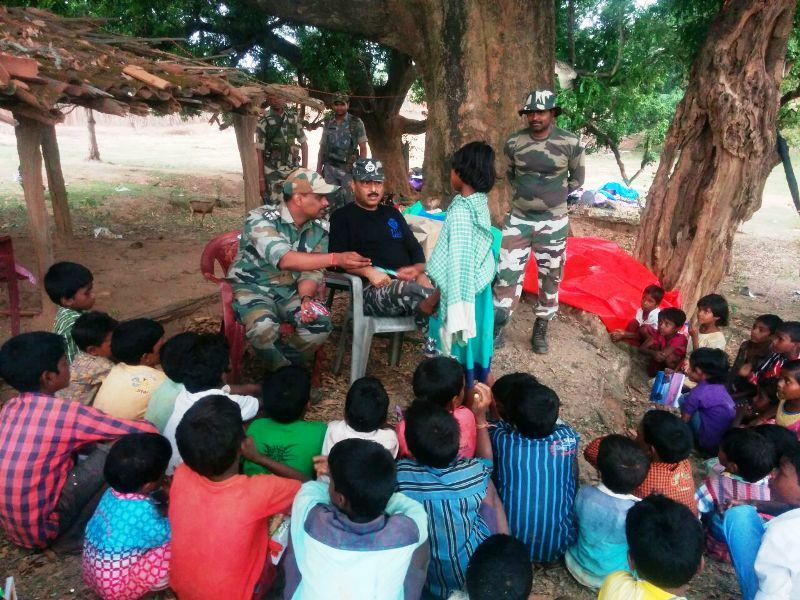 The available force is well trained and equipped to tackle the naxal menace. The bauxite mining areas have been provided with ample force for safe mining. The Police personnel are regularly being trained for better performance. During the last one year, a sustained effort by Police has resulted in fewer incidents of naxal violence in the district. Long Range Patrolling, Raids, intelligence- based special operations have proved to be of great help. 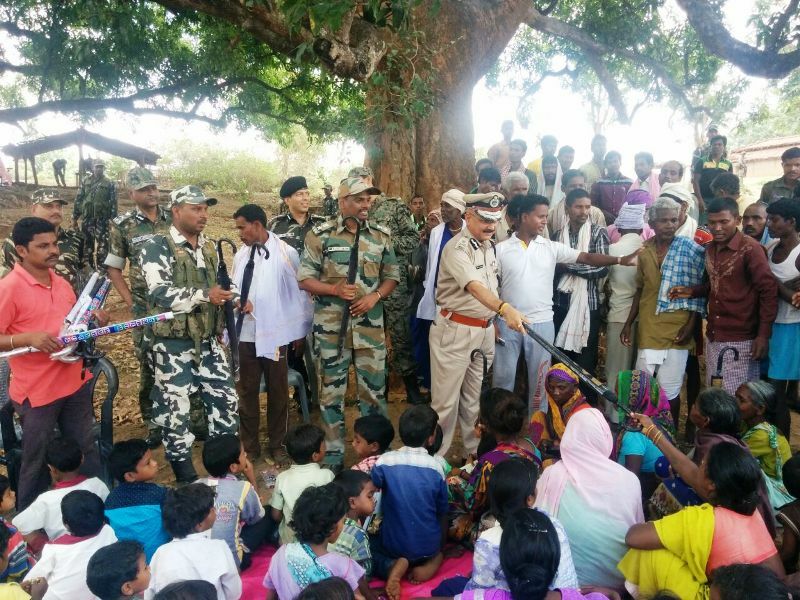 Community Policing is one of the corner stone’s to established cordial relation between police and people of the district. 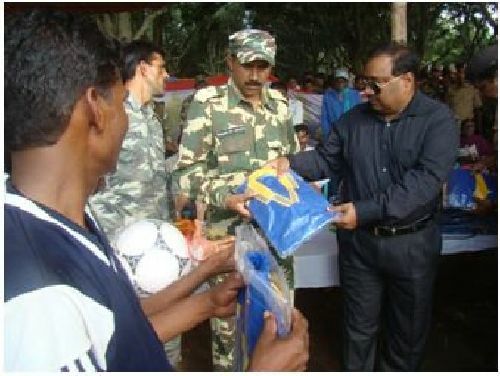 We have also organized sports events and distributed various items to the needy ones. The process for construction work of police Line is going on. Lohardaga Police is committed to provide a safe and secure environment for overall progress and prosperity with a promise to be always at your service. Lohardaga is a “A” grade highly naxal infested district. Which comes under graded "A". Nine of its six police stations are totally naxal affected and the rest of P.s viz. Lohardaga police station is partially affected. 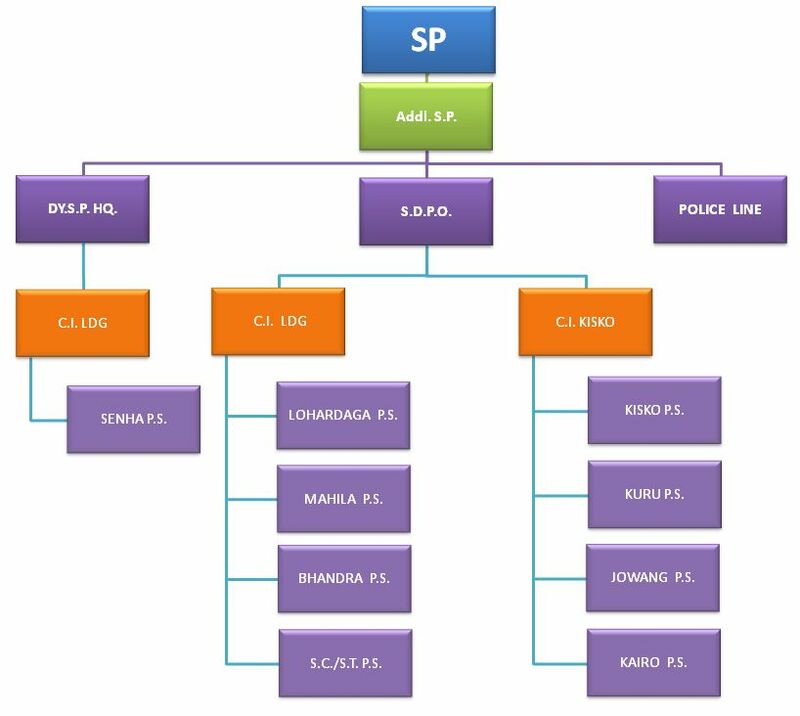 The totally affected police stations are Kuru, Bhandra, kairo,Kisko,Jowang,Senha. The major naxal outfits are C.P.I. ( Maoist), TPC, SJMM and JLT. JLT is a fresh Stake holder. All the above mentioned naxal outfits are mainly interested in extorting the bauxite mining and transportation industry. 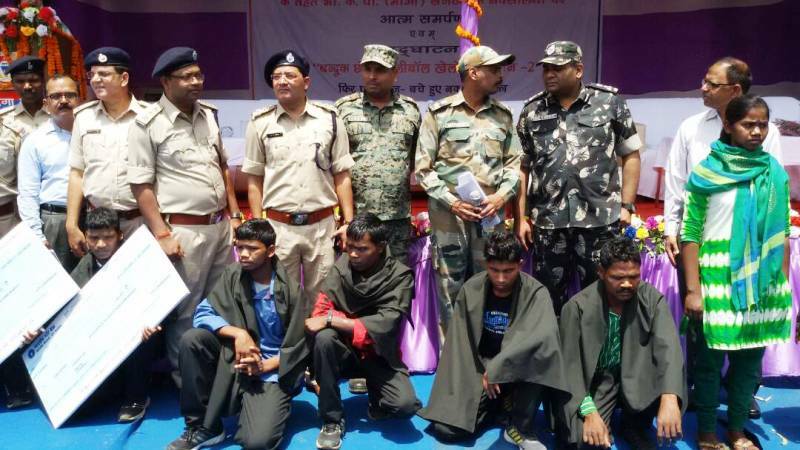 To combat the naxal menace, the police in Lohardaga is employing all the lawful and needful tactics. 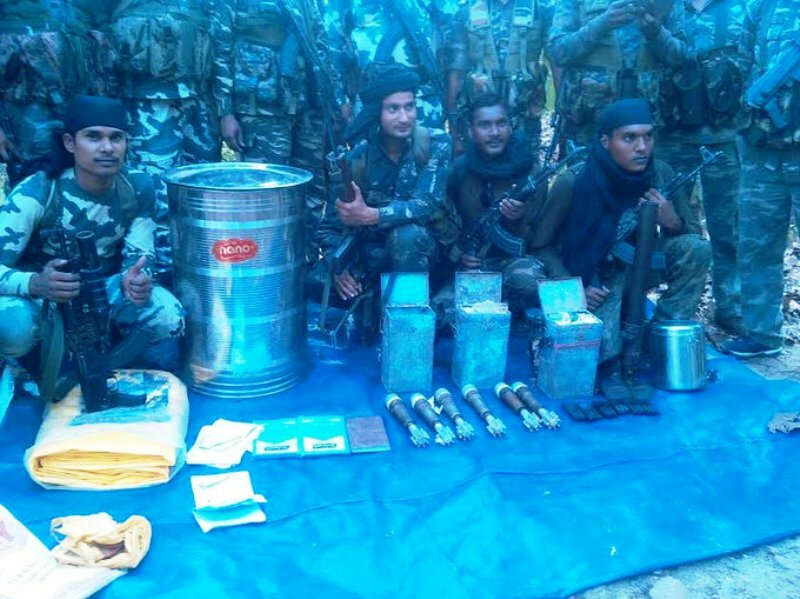 The available force has been trained and strengthened to take on the naxal outfits. The bauxite mining areas have been provided with ample force for safe mining. At present 2 Coy. Of CRPF, 01 Coy of SAP, 03 Coy JAP, 1 Coy of IRB and DAP has been stationed in different establishment in this district. The police personnel are regularly being trained for better performance. All the securities and safety guidelines of police (Hqr.) is strictly being followed. It is pertinent to mention here that Lohardaga has lost one SP Sri Ajay Kumar Singh, IPS in anti naxal operation. 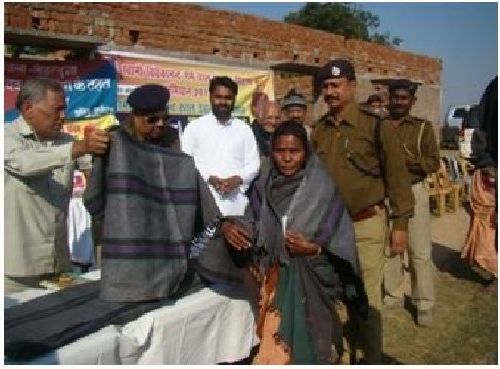 2.Nasim Ansari,S/O-Muslim Ansari,Vill-Masiyatu,Tarigtola,PS-Narkopi,Dist-Ranchi -- -- -- -- 4 Laptop and a Mobile Set. 4 Kisko PS Case No-11/2018,Dated-28/02/2018,U/S-379 IPC 1.Mansuar Ansari,S/O-Nijiam Ansari,Vill-Chatar Toli Parpet PS-Kisko,Dist-Lohardaga. -- -- -- -- JH08D-8832 Stolen Motorcycle. 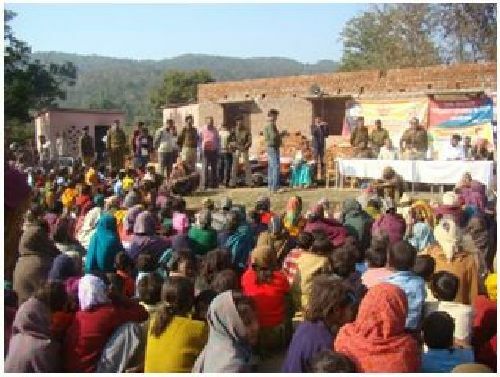 4.Roshan(All),Vill-Tatty,PS-Kuru,Distt-Lohardaga. -- -- -- -- 1Motorcycle No-JH0BD-6514. 12 Bhandara PS Case No-43/2018,Dated-12/07/2018,U/S-25(1-B)(A)26 Arms Act. 1.Bhikhu Tana Bhagat &vinod Oraon,S/O-Late Bande Tana Bhagat,Vill-Atalya Lyanpur bandh Toli,PS-Bharno Dist-Gumla. -- 1 Country made Pistol -- 1 Carties 1 MTech Mobile. Rupay Card and Pos Machine. 5 Bagru , P.S Case No-05/17, Dt- 24.02.2017, U/S- 457/380 I.P.C. 1. Suresh Oraon, S/O- Ram Oraon. 8 Bhandra PS Case No-31/2017,Dt-06/04/2017,U/S-414 IPC & 25(1-B)26/35 Arms Act. 1.Rustam Ansari, S/O- Abdul Gafar,Vill- Kundi PS-Itki, Distt-Ranchi. 20 Bhandra PS Case No-93/2017,Dt-05/11/2017,U/S-394/511 IPC &25(1-B)(A)26/27/35 Arms Act. 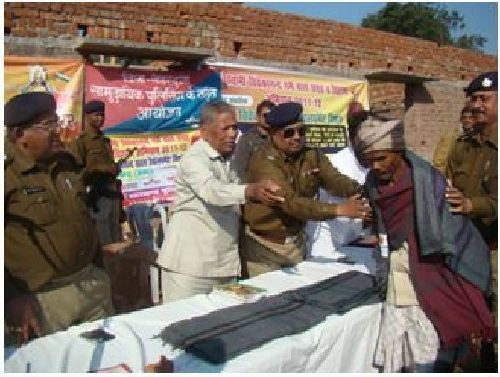 1.Ram Pravesh Kumar & Ram Pravesh Kumar Singh,S/O-Dhurwa Singh,Vill-Sacherima Nagjua Station,Kairo,District-Lohardaga. -- 01 Desi Revolver -- -- Five Hundred Rupees and one mobile. 21 Lohardaga PS Case No-221/2017,Dt-15/11/2017,U/S-414/34,IPC & (ADIK of Prevention of Correctional to Animal Act and 47/48/49/50/52/56 of The Trans Icon of Rule 1978) 1.Md Irfan Quereshi,S/O-Late Kaseem Kureshi,Vill _Qureshi Mohalla PS+Dist-Lohardaga. 3.Nasir,S/O-Late Sibte,Vill-Badkhida,Check Moradabad,(Uttar Pradesh) -- -- -- -- 26 Buffaloes. 5.Ashwani Kumar Agarwal, S/o-Subodh Prasad Agarwal,Vill-Barki Chapi,PS-Kuru All district Lohardaga -- 1 Desi Pistol -- 1Misfire Cartridge 1 Mobile,Discover Motorcycle No-JH09A-4068,14000 Rupees Recovery. 2 Lohardaga PS Case No-32/16, Dt-05.03.2016, U/S- 25(1-B)(A)126/35/ Arms Act. 1. Pawan Kumar,S/O -Syamnandan Singh, Vill-Postrira Kisko PS- Kisko. 5 Lohardaga PS Case No.- 51/16, Dt.- 14.04.16, u/s- 414 IPC, 3/4 Expl. Sub. Act. 1. Mansur Ansari, S/O- Seraj Ansari, Vill- Rampur, PS+Dist. - Lohardaga -- -- 1. Three bag Ammonium nitrate -150 Kg. 7 Bagru PS Case No-44/16, Dt-12.05.2016, U/S-414 & 3/4 Explosive Act & 17 CLA Act. -- -- -- Explosive -- 1 Generator & Pithu Bag - 2. 10 Kurru PS Case no-102/16,dt-20.07.2016,U/S-25(1-B)A/26 I.P.C Arms Act. 1.Anirudh Yadav, S/O-Murari Yadav,Vill-Chandlaso, PS-Kurru, Distt-Lohardaga. -- -- -- 1.07Pc -315 Cartidges Miss Fire. 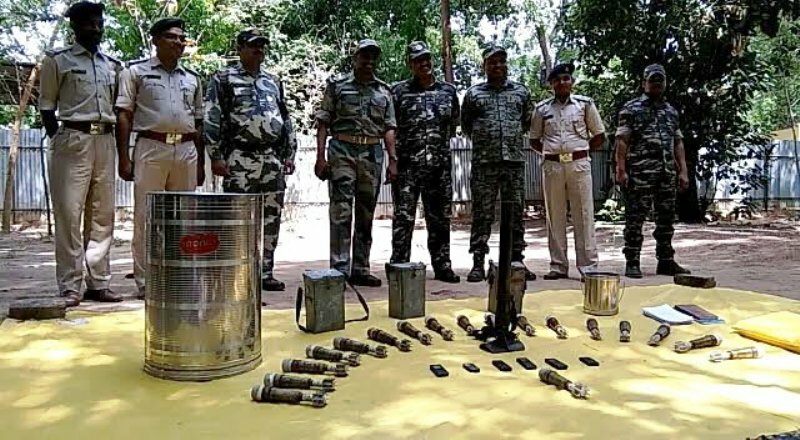 4 Bhandra p.s case No -43/15 Date -06-06-15-U/S -399/402 I .P.C And .259(1-b)a/26/35 Arms Act 1985 1.Pintu Oraon @ Anis Oraon @ Lambu, S/O-Budhan Oraon, Vill-Nori Amba Toli, P.S-Bharno, Distt-Gumla. 5 Bhandra P.S Case No-51/15, Date-19.07.2015, U/S-489(B)/489©/420 I.P.C 1.Rojamat Ansari,S/O-Asgar Ansari, Vill-Palni, P.S-Bhandra, Distt-Lohardaga. -- -- -- -- 03 fake/currencey indian note/Rs.1000/.ecsh. 6 Senha P.S Case No-53/15, Date-19.07.2015, U/S-386/387/34 I.P.C 1.Nisar Ansari,S/O-Khalil Ansari, Vill-Ugra, Tangra Toli, P.S-Senha, Distt-Lohardaga. 7 Kuru P.S Case No-90/15, Date-28.07.2015, U/S- 387/34 I.P.C 1.Md. Sahid,S/O-Late-Abdul Quym, Vill-Tileyatar, P.S-Chandwa, Dsitt-Latehar. 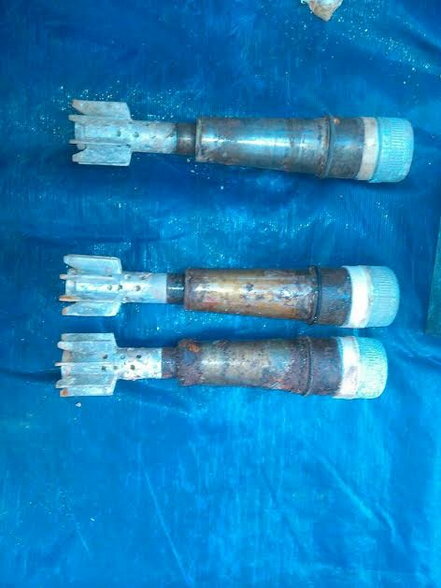 12 Kisko P.S Case No-82/15, Dt-18.11.2015, U/S-25(1-B)A/26 Arms Act. 1. Vitu Bhuiyan, S/O-Late-Mangra Bhuiyan, Vill-Salaiya Amba Toli, P.S-Kisko, Dsitt-Lohardaga. -- -- -- -- 01 Loded Contry Made Pistol. 30 Kuru P.S Case No-47/13 Dated 02-12-2013 U/S-8,18 Narcotic Drugs Act. 1. Vnit Singh S/O-Lal Ashok Nath Sahdeo Vill-Kisko P.S. 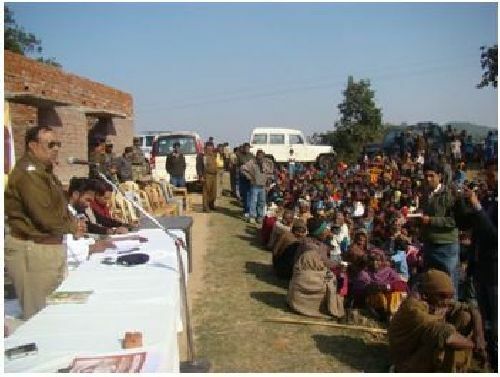 Kisko Distt- Lohardaga. -- -- -- -- 335 Gram Ganga. 9 Kuru PS case no. 37/12, dt. 10.05.12, u/s.- 379 IPC 3 Prevention of Damage to public properties Act. 1. Hafiz Ansari, S/O Nayun Ansari, Vill.- Pandara, PS.- Kuru, Dist.- Lohardaga. 17 Kisko PS Case no-46/12, Dated-30/08/2012, U/S-379/411/34 IPC 1. Zulfan Ansari S/o Late Mahir Ansari, Vill-Anandpur, PS.-Kisko, Distt.-Lohardaga. -- -- -- -- Steel Sheet-270 Pc. 8 Kuru PS Case No-164/2018,Dt-15/12/2018,U/S-435/511/34 IPC and 25(1-B)(A)26/35/ Arms Act and 17 CLA Act. 1.Rajendra Yadav,S/O-Mahesh Yadav,Vill-Rahebasti,PS-Burmu Dist-Ranchi -- Desi Pistol -- 04 PLFI Printed White Leather recoverd from Raid. 6 Bhandra PS Case No-46/16,Dt-29.07.2016,U/S-25(1-B)A/26 I.P.C Arms Act. 1.Mangleshwar oraon, S/o-Sanya Oaraon,Vill- Arko Mahuaa Toli,PS- Sisi Distt-Gumla. -- 1.2 Country Made Pistol 9mm. Date-14/02/15,U/S-4/5 Expo. Act. 17 C.L.A. Act. 1.Jaynath Sahu S/O-Baleswar Sahu,Vill-Senha, Sahu Muhalla P.S.Senha Distt-Lohardaga. -- -- 1. Amonia naitret-179 Bags.Rapper No-k14eflzfido2, Batch Cod no-d/m.h/p,/1/1(A873) 2. -- 1.Elec.Detoneter Red Wire-29 Bags. (50Banchs.) 2.Elec.Detoneter Wite Wire-177(10 Banch) 3.Cordex Wire-(02 Banch) 1770 Pises. 7 Bagru P.S Case No-01/15, Dt-11.11.2015, U/S- 3/4 Exp. Sbus. Act., 17 CLA Act. Kameshwar Yadev@Kamleshwar Yadav, S/O-Jumak Yadav, Vill-Popriya, P.S-Balumath, Distt-Latehar. 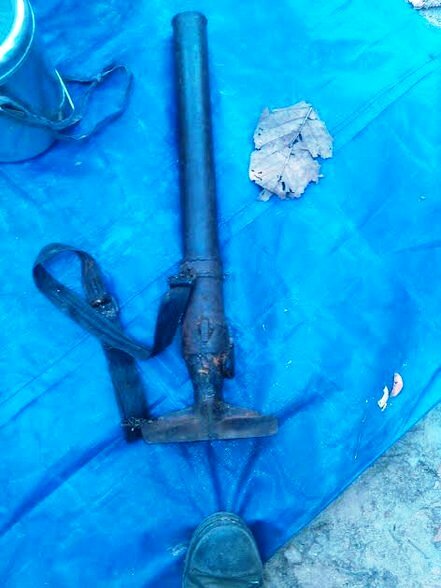 -- -- -- -- 300 Pice Detonator 45 Meter Codex Wire. 8 Serangdag P.S Case No-02/15, Dt-17.11.2015, U/S 3/4 Exp.Sbus. Act. 17 CLA Act. -- -- -- -- -- Landmines Ken Bomb, 10 Meter Codex Wire 100 Meter Electrict Wire. 1 Kisko PS case no.-21/12, dt. 05/04/12, u/s.- 147/148/149/120(b)323/435 IPC, 27 Arms Act. 17 C.L.A. Act. J.P.C. 1. Ranthu Oraon, S/O Lohra Oraon, Vill.- Sleya Ambatoli, PS.- Kisko, Dist.- Lohardaga. 2. Tetar Ganjhu, S/O- Dashai Ganjhu, Vill.- Salaiya Bartoli, PS- Kisko, Dist.- Lohardaga. 3. Chautaa Ganjhu, S/O- Gungura Ganjhu. 1. Shiv Kumar Sahu @ Vishwnath Sahu, S/O Bhuwaneshwar Sahu, Vill- Jogana, PS- Senha, Dist.- Lohardaga, At/P- Andhara Colony uper Hatia, PS- Jagarnathpur, Ranchi. 27 Arms Act. 3\4 Explosive Sub. Act. 17 C.L.A. Act 16\18\20 U.L.A.P. Act C.P.I. The Suptd. 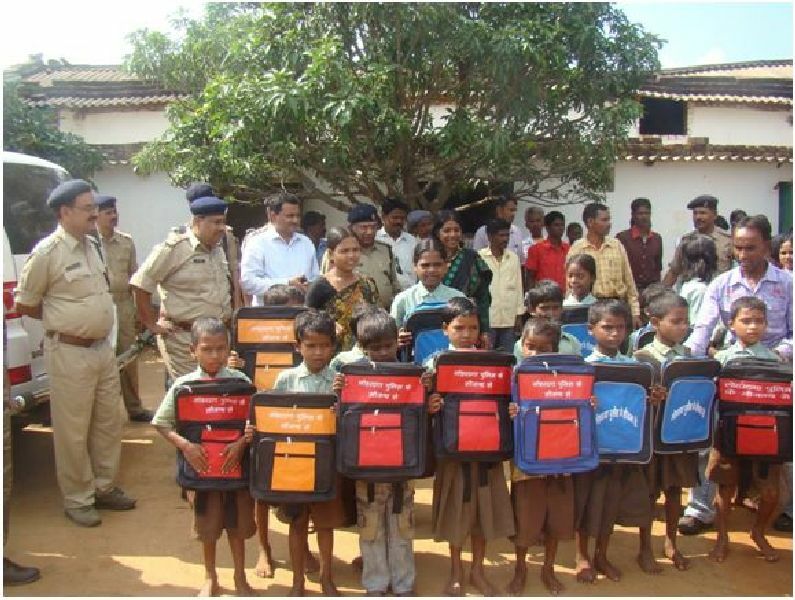 of police Distributed School bag, Jug, pen ect among the poor students belonging from sensitive Naxal areas such as Pesrar, Juria and Kisko of Lohardaga District. All such students are taking admission in Kasturba Gandhi High School. This program was held on 3rd of May, 2012. 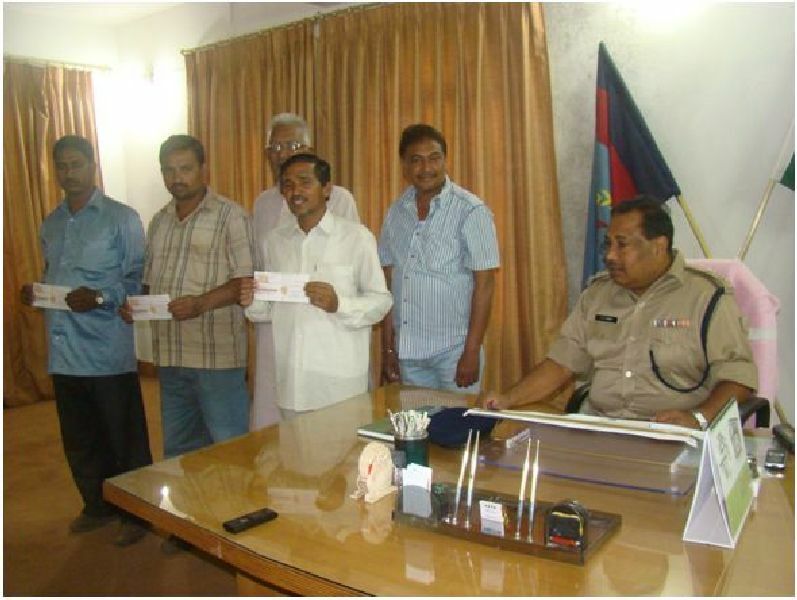 Creation of welfare fund for truck driver and cleaners. 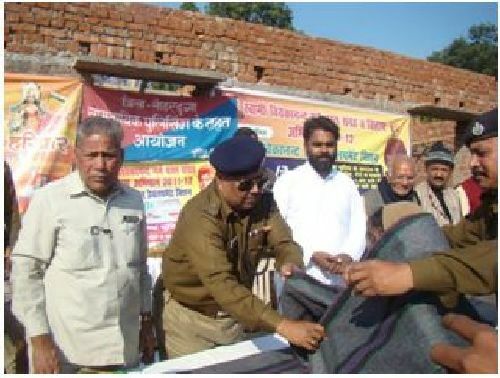 Distribution of household materials, books, Sports goods, Track suits, winter wear, blankets to needy and poor people of far flung areas. Organization of sports and other cultural events especially State level football and taekwando events. Saheed Ajay Kr. Singh Trust has been formed for the benefits of the people of Lohardaga in the field of education and social work.